We’re With You: Counsel and Encouragement from Your Brethren is a book packed full of wise life counsel for millennials from the leaders of the Church of Jesus Christ of Latter-day Saints. ”This is your world. The future is in your hands. 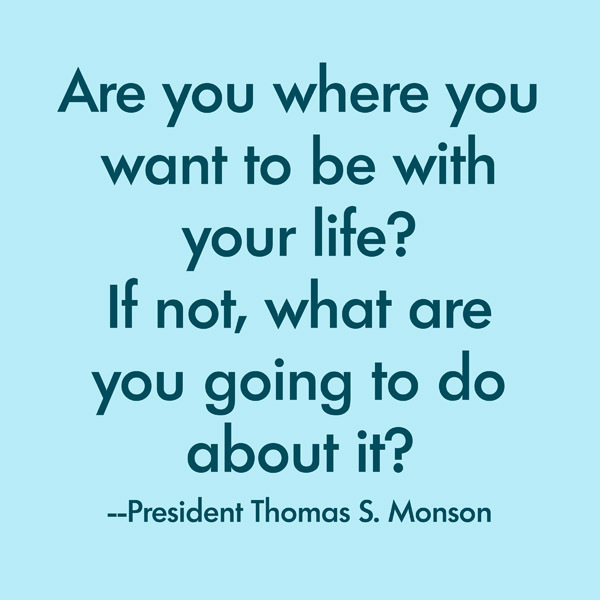 The outcome is up to you.” With those simple words, President Thomas S. Monson urges a generation of young adult members of The Church of Jesus Christ of Latter-day Saints to find the best within themselves. He is joined in this exciting new book by the remaining members of the Church’s First Presidency as well as all twelve members of the Quorum of the Twelve Apostles. With chapters such as ”Recognizing Spiritual Promptings,” ”Applying the Atonement,” ”Uncovering Your Life’s Work,” ”When Blessings Are Delayed,” and many more, the Brethren address issues that are of particular interest and concern to young adults, though readers have found the counsel applicable to people of all ages. These bite-sized excerpts are perfect for pondering, sharing, and discussing. Authoritative yet approachable, this uniquely designed and formatted book offers great insights on navigating life in challenging times. 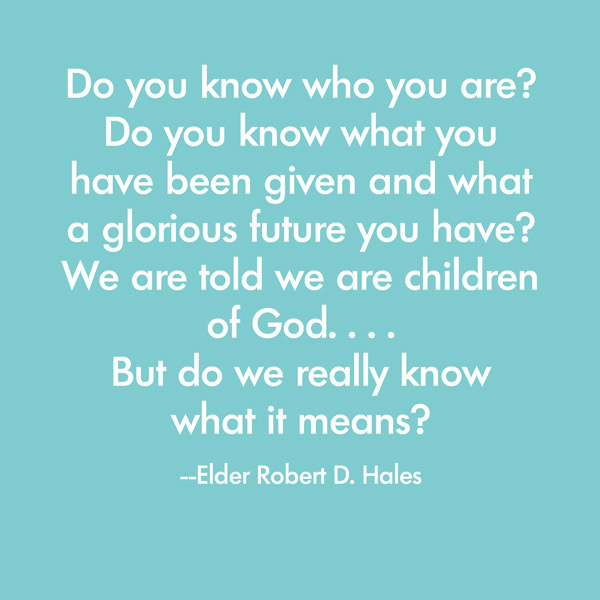 And what better source could there be for such insights than the fifteen men we sustain as prophets, seers, and revelators on the earth today? Contributors include: Thomas S. Monson, Henry B. Eyring, Dieter F. Uchtdorf, Russell M. Nelson, Dallin H. Oaks, M. Russell Ballard, Robert D. Hales, Jeffrey R. Holland, David A. Bednar, Quentin L. Cook, D. Todd Christofferson, Neil L. Andersen, Ronald A. Rasband, Gary E. Stevenson, and Dale G. Renlund. While We’re With You is targeted toward Millennials, it is full of wise counsel for any life from teens to their grandparents. And it’s an excellent resource for anyone who works or lives with teens and young adults. It’s a very readable book, written in plain English and not lofty formal directive as one might think, considering the stature of the contributors. Not surprising, though, since it is all taken from addresses given at young adult events. I thought I would just skip around and focus on my favorite topics as the book is conveniently arranged into chapters by subject, rather than by source. Some of the chapters that jumped out to me were “Finding Happiness,” “Uncovering Your Life’s Work,” “Spiritual Gifts” and “Applying the Atonement.” But I got so involved in the reading that I ended up reading right through. Each of the chapters is divided into subheadings which are excerpts from articles and addresses given at devotionals, firesides and commencement addresses by LDS church leaders. This makes it easy to find counsel on specific subjects. If I were teaching youth classes at church, this book would definitely be a go-to resource to supplement my lesson materials and to help answer their questions. As a parent of four millennials, two of whom are still in college, I will be sharing this book with them—perhaps even giving each of them their own copy—it is that good of a resource for answering questions about the gospel and about life—with a focus on gospel principles. In the chapter, “Building Healthy Relationships” for example, some of the subjects covered are “The Blessing of Good Friends” by Elder Ronald A. Rasband; “The Friends I Didn’t Reach” by Elder Jeffrey R. Holland; and “Choosing Friends Wisely” by Elder Robert D. Hales. For those who would like to read the full text of any of the excerpts in the book, there is a link to a complete list of sources for the book. We’re With You is available in paperback and ebook from both Deseret Book and Amazon.